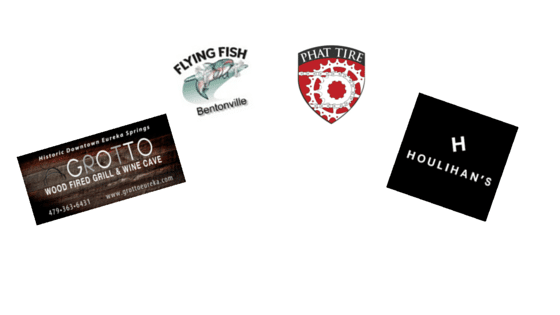 There are over sixteen hundred hospitality businesses in Northwest Arkansas consisting of restaurants, attractions and accommodations. 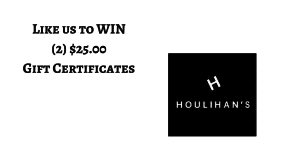 We thought it would be great to offer our readers an opportunity to win Free Gift Certificates/Tickets to some of these outstanding businesses. 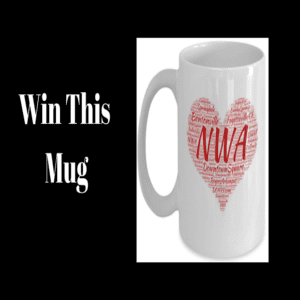 For a chance to win one of these fabulous free gift certificates from one of our top ranked NWA establishments, click below to enter in the FREE Giveaways section. 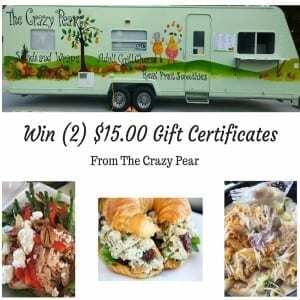 LIKE our Facebook Post and Leave a Comment for a chance to win an amazing $30.00 Gift Certificate. 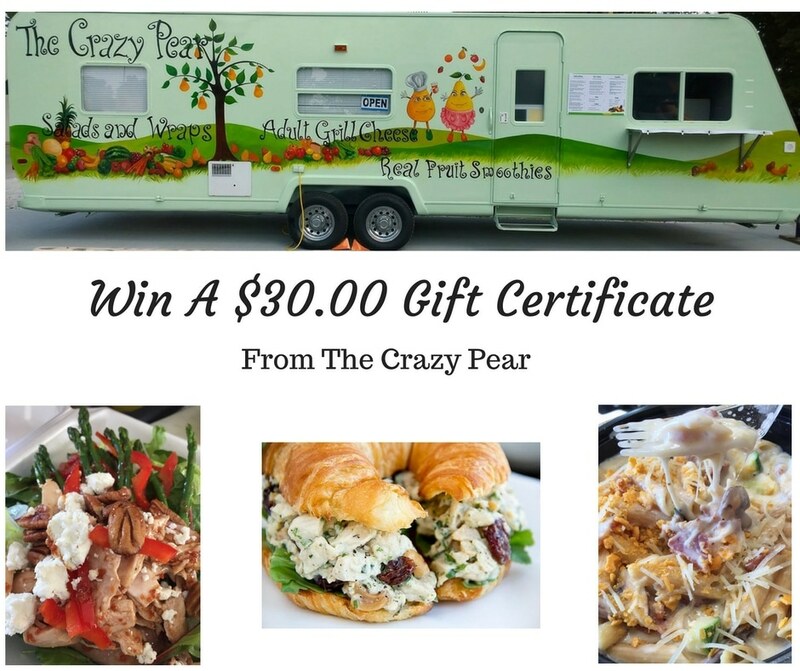 Have you had a chance to eat at the Crazy Pear Food Truck in Bentonville? For those in the know, a Food Truck is code for delicious Gourmet Food that is less expensive than traditional brick and mortar restaurants. They serve incredible sandwiches, wraps, salads (salmon salad and Asian chicken salads), along with a gourmet mac and cheese dish that is simply out of this world. Just imagine how nice it would be to eat something very healthy and delicious, while at the same time having someone else prepare it for you. Even better, imagine how it would feel to have it FREE with your $30.00 winning certificate. 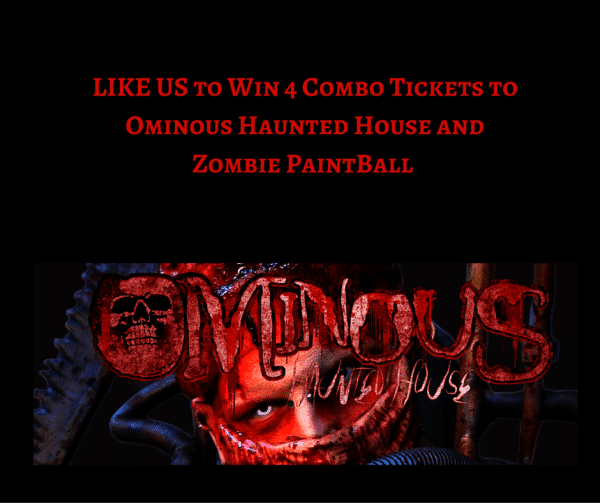 LIKE our Facebook Post and Leave a Comment for a chance to win (2) amazing $15.00 Gift Certificates. Just imagine how nice it would be to eat something very healthy and delicious, while at the same time having someone else prepare it for you. Even better, imagine how it would feel to have it FREE with your (2) $15.00 winning certificates. LIKE our Facebook Post and Leave a Comment for a chance to win this amazing $100.00 Gift Certificate. Luxurious, Therapeutic, Relaxing Massage! You can use your certificate for a couples massage, multiple individual massages, or a specialty massage. The $100.00 certificate can be used however you desire. Better Energy, Better Health, Better YOU! Just imagine how good it would feel to have a wonderful massage at the end of the day. Even better, imagine how it would feel to have it FREE with your $100.00 winning certificate. 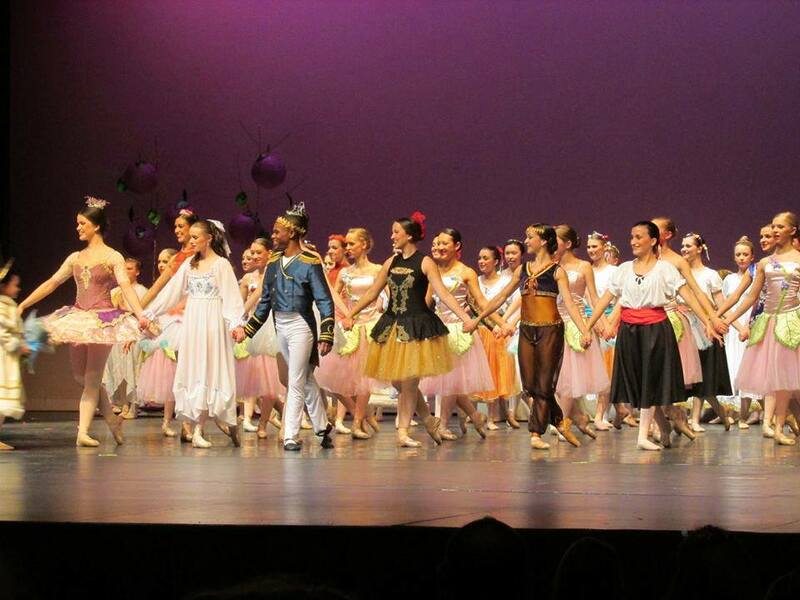 Winner: Congratulations MJ Atkinson Baughman !!! 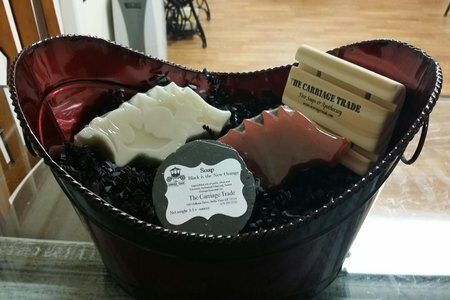 The gift basket includes both officially licensed razorback soaps that are both scented with a Phthalate free cotton blossom fragrance oil. Black is the new orange is an activated charcoal based soap with a sweet orange essential oil, handcrafted soap preserver and of course the beautiful basket. All of Carriage Trade products are hand crafted to the highest standard of simplicity, quality, and health. They are designed to nourish your skin and delight your senses. You will find that their artisanal soaps create a delicate, silky, and sumptuous lather. They rinse clean and protect your skin’s natural moisture. Their scrubs are gentle yet effective, and the luxurious moisturizing products protect and nourish your skin. The Carriage Trade products are designed and crafted to be not only the best way to care for your skin, but also a luxurious, spa-like experience. 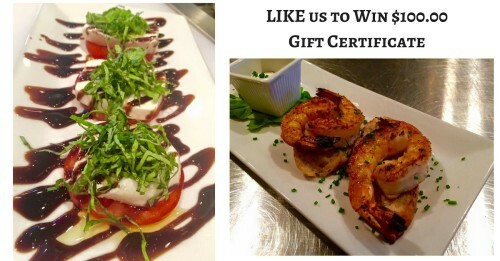 Grotto – Wood Fired Grill & Wine Cave – Like Us on Facebook and LIKE this post for a Chance to Win a $100.00 Gift Certificate. Grotto – Wood Fired Grill & Wine Cave has been determined to find pleasure in a straight forward selection of appetizers, entrees and desserts. Chef Slane employs common ingredients in unexpected ways to create a streamlined menu that will keep you coming back for more. His love of sauces is apparent with a wide selection to add to any meal. The Wine Cave has an elegant and inviting atmosphere with wine on tap, including select vinos from around the world. Grotto’s professional Mixologists are serving an array of classic cocktails with a fresh twist. Some of them including Moscow Mules served in a copper mug, Lady Basil Gimlet and Fresh Mint Mojitos. Not to forget, our diverse and unique selection of specialty beers including Unibroue and Chimay to name a couple.has been determined to find pleasure in a straight forward selection of appetizers, entrees and desserts. Chef Slane employs common ingredients in unexpected ways to create a streamlined menu that will keep you coming back for more. His love of sauces is apparent with a wide selection to add to any meal. The Wine Cave has an elegant and inviting atmosphere with wine on tap, including select vinos from around the world. Grotto’s professional Mixologists are serving an array of classic cocktails with a fresh twist. Some of them including Moscow Mules served in a copper mug, Lady Basil Gimlet and Fresh Mint Mojitos. Not to forget, our diverse and unique selection of specialty beers including Unibroue and Chimay to name a couple. The event is slated for Sunday, November 8, 2:00 – 5:00 p.m. at The Chancellor Hotel, 70 N. East Avenue, Fayetteville, Arkansas, 72701. 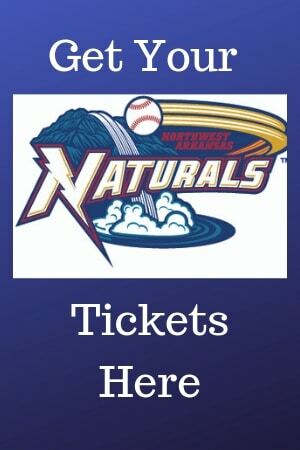 Tickets are $25 in advance, $35 at the door, and are tax-deductible. 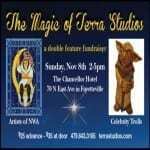 Because Terra Studios has been in operation for 40 years, but has just become a nonprofit organization one year ago, local celebrities were invited to experience the magic of creativity the nonprofit is dedicated to igniting. Over several months, small groups of these “celebrities” came together to sculpt clay trolls. The process was delightful and the products whimsical. Over 250 clay trolls were created, and these will be auctioned at the event. 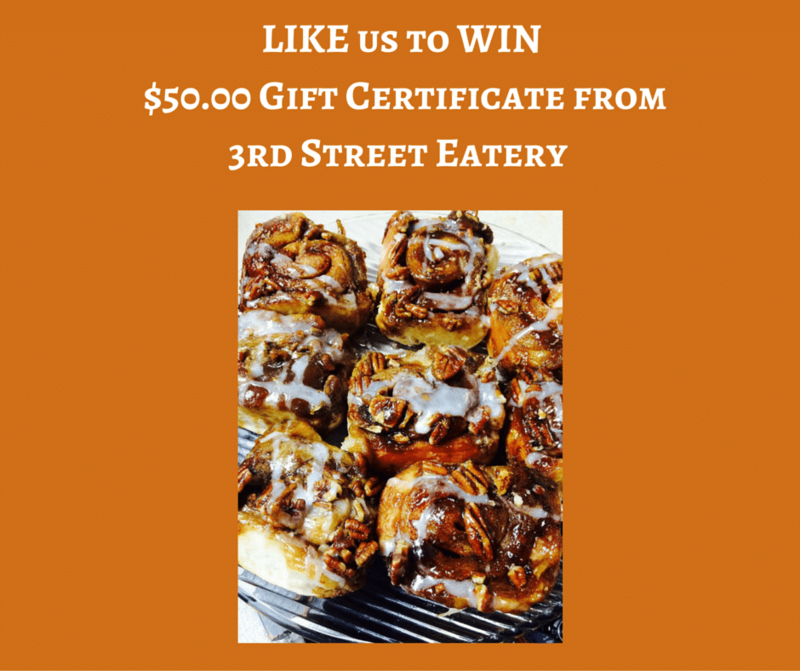 3rd Street Eatery – Like Us on Facebook for a Chance to Win $50.00 Gift Certificate.